Being an entrepreneur can be challenging. For over 5 years I’ve tried many different products and resources to help make my business more efficient and run more smoothly. Some worked really well and some didn’t help at all. This list of resources are things that I have tried, used and highly recommend. Hopefully, this list the best business resources for entrepreneurs will be just as useful for you as they have been for me. You can also visit Your Toolbox to view best resources by category. Disclosure: This post includes affiliate links. I earn a commission for any items you purchase through my links. And as always I only recommend products I have used and love. Listed below are my top 5 resources that are literally all you need to get started blogging and making money! -What the Tech? 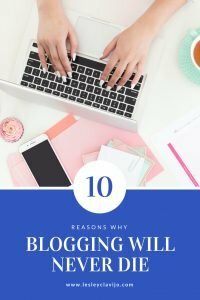 A Guide to Your Blogging Frustrations: If you are looking to start a blog, conquer your fear of blogging technology or you want to take the maintenance and design of your blog into your own hands then this is for you. With my book and videos, my goal is for you to stop shoveling money at your tech issues and learn how to fix them on your own. There is an ebook only option and packages that also include up to 26 videos and a private Facebook group. I’ve been told that the Facebook Group is one of the most helpful ones out there! -POP Preneurs: A monthly membership site for online entrepreneurs who are overwhelmed by all the information online and need community support and feedback and accountability. They are also in need of an experienced guide to help them push through the hard decisions and the rough patches and to focus on Progress over Perfection. WordPress.org If you’re going to have a blog you have to start with a platform. WordPress can be third-party or self-hosted. Think of it as the foundation to build your site. Within it, you will have templates, designs, and features to choose from depending on your theme and audience. Whether you’re a beginner or a seasoned blogger you won’t have a problem creating content on WordPress. Bluehost A host gives you a domain name, security and the power to get your website seen by your adoring fans. Bluehost offers several options for hosting different types of sites and supports WordPress. Because of it’s pricing Bluehost is great for new blogs or sites. I used them for nearly 3 years as I grew and still use them for smaller sites. Siteground Another option for hosting, Siteground will help you get your WordPress site set up. Quality hosting will offer WordPress themes for customization and high performance preventing crashes and freezes. Web Synthesis I’ve use a lot of different hosts. I first started on Bluehost and used it for many years. I finally got to the point where I wanted a more managed hosting situation. If I have any issues at all web synthesis is right there to help. You can read all about hosting companies compared here and what other bloggers say! Genesis Framework This is a customizable template to use as a foundation for any WordPress site. It has several options for layout. It’s simple enough for beginners to use, allows you to personalize to suit your style and is search engine optimized. Restored 316 Designs If completely designing your own site isn’t your thing you can go with a custom, feminine theme from Restored 316 Designs. There are several options to choose from to suit any niche. Working with Restored 316 Designs gives you superior support and resources and high-quality design and coding. Feast Design Company This team of designers offers a comprehensive list of services. You can use their WordPress themes and build things yourself or have them do it for you. They also offer a blog and other resources on their website. Studiopress More choices for WordPress themes. Studiopress has several options to choose from for layouts, categories, and features. Antispam Bee The last thing you want when building your professional portfolio is spammy comments on your writing. Protect your site securely with this WordPress Plugin. Go Portfolio This plugin gives you lots of options to let your site be a personal representation of your work. Whatever niche you write in these features will let you customize how you show off your posts and photos. Popupally Pro Pop-ups can be in your face making it difficult for readers to continue on your site. 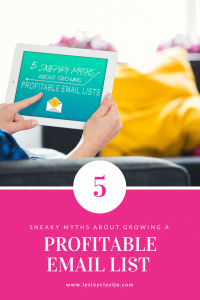 But they can also be valuable tools for building your subscriber list and your business. This plugin uses techniques that engage your readers keeping them on your site and suggesting they opt-in to emails and freebies. Social Warfare No one is going to read your posts if it doesn’t get shared on social media. If it’s difficult to figure out how to share something or your readers’ favorite social network isn’t available they won’t share it. This plugin makes it easy for readers to share your stuff over and over, growing your traffic and your business. Genesis Simple Edits An excellent plugin that allows you to edit the three most commonly modified areas in any Genesis theme: the post-info, the post-meta, and the footer area. Genesis Simple Hooks This plugin creates a new Genesis settings page that allows you to insert code (HTML, Shortcodes, and PHP), and attach it to any of the 50+ action hooks. Great option for adding ads, subscribe boxes and graphics to all of your posts instead of entering them in one by one. GM Block Bots This blocks semalt.com, buttons-for-website.com and others with a 403 Forbidden message so that they no longer show up in your Google Analytics stats. Pretty Link Lite If affiliate marketing is a big part of your blogging business this plug-in will allow you to keep track of all your links in one place. You can automate tasks, track your sales and the progress of your campaigns. Revision Control Revision Control allows finer control over the Post Revision system included with WordPress. Tt allows you to easily and automatically schedule the deletion of multiple post drafts that hog space. Simple Social Icons We all love to follow along with our favorite bloggers. Simple Social Icons make it easy for you to grow your following every time someone visits your blog and clicks the button. Genesis Enews Extended Creates a new widget to easily add mailing lists integration to a Genesis website, typically used in the sidebar but may be used in other places as your theme allows. Works with FeedBurner, Mad Mimi, Convertkit, MailChimp, AWeber, FeedBlitz and more. Yoast SEO This plug-in takes the guesswork out of search engine optimization (SEO). You want your site to come up in search results. And to do this you need to point search engines to it. This plug-in prompts you to choose a focus keyword and be sure it is included in your content, increasing your posts’ appearance in search results when people enter your keyword. InkyDeals Get exclusive graphic design products and bundles with huge discounts for makers and creators. Creative Market If you choose to piece together your own design elements Creative Market offers fonts, graphics, themes and templates to customize your site’s style. Design Deals Kind of like Groupon for web design, Design Deals offers affordable rates for bundles of fonts and images. The offerings and rates change and are only available for a limited time. The Hungry Jpeg Get amazing photos, graphics, fonts and more at a great price. Check frequently for awesome deals. Shay Cochrane Stockshop If you’re designing your site yourself or need images or fonts for a post you’ll want to look here. You can shop by color or collection with lots of options available. Shoot Fly Shoot Confused about all the settings on your camera? This class has helped me learn how to use my DLSR camera and help improve my photography. The down to earth classes are great for any photographer! Canon Rebel Beautiful photography starts with a high-quality camera. Many bloggers rely on a DSLR like the Canon Rebel. This 18-megapixel camera lets you take high-resolution photos and impress your readers with brilliant images without being a professional photographer. Tripod Unless you have a photography assistant you’ll probably want a tripod for your DSLR camera. Set things up easily like a pro and capture your photos just the way you want them. Lighting Kit Good lighting is essential for high-quality photos. You can use a lighting kit and photograph food, craft projects, home renovations or whatever else you are writing about to achieve professional-looking images. PicMonkey From very basic to more advanced photo editing, PicMonkey is a helpful tool for getting your photos to look just right. It offers a free or paid subscription with more features. It allows you to edit photos, create collages and add text. Canva Another online photo editing tool. Here you’ll find stock images, some free, others a dollar. You can create photos with the correct dimensions for Facebook, Pinterest and Twitter posts. Canva is easy to use to create collages, edit photos and add text. Snapseed A Google creation, this app for iPhone is another option for editing photos. If you use your phone to take pictures (and who doesn’t?) you’ll want this tool to take your photos to another level. Iphone 6x- When I got this phone I thought it was ridiculously big. Now I can’t even see how my husband uses his smaller version.. literally I can’t see anything on his phone! I do a ton of my business on my phone. From social media, to email marketing to video and photos this phone does it all! Olioclip is a lens for you iPhone. It lets you have a wide angle view which is great for recording larger scene shots. Lav Mic The Iphone 6x actually records better video than most expensive cameras. To ensure high audio quality I use a Lav Mic. Mic Extension Cord The Lav Mic cord is a little short this mic extension cord gives you a lot of extra length to move around. Phone Mount for Tripod If you are looking to get into Facebook Live or Periscope I highly recommend using a tripod mount for your phone. You use this attachment with any tri-pod. I actually just remove a piece like this from a selfie stick and it works the same. Wistia is professional video hosting for business. With Wistia your videos have no ads, no branding, and can be locked down so you control who is allowed to access your video content. I use Wistia to host my videos for the advanced and master package of What the Tech? Ecamm Call Recorder Call Recorder records Skype audio and video calls directly to your Mac. Record automatically, or use the record and stop buttons. It’s that simple. Great for recording Skype interviews. Blue Yeti Having really high-quality audio for webinars is really important. The Blue Yeti Microphone has improved my video recordings and webinar audio quality a ton! Screenflow is the most powerful video and audio editing software I have used. It has so many functions that make videos insanely awesome. The online tutorials are easy to find and easy to use so that you can become and editing pro in no time. Mad Mimi This system allows you to send email newsletters to your readers. Keep them updated with marketing campaigns sent through automatic mail to your subscribers. Build your subscriber list and build your business. ConvertKit Blogging is a unique business and growing your email list is an essential part of growing your business. ConvertKit is designed specifically for bloggers to send campaigns and convert readers to customers. The features offered by ConvertKit are perfect for any blogger or online business owner who is ready to start segmenting their list or if you are ready to start selling your own product. Popupally Pro Don’t let the name fool you! This plugin is not just for creating pop-ups and it’s not just for collecting emails. With Popupally Pro you can embed forms into your posts to collect emails or you can create graphics with clickable buttons that direct traffic to other areas of your site. And then, of course, you can also create highly custom pop-ups too! Instapage Landing pages are powerful tools for getting messages to your readers about a product or service. Instapage helps you create pages with designs and templates to suit your blog’s style. It integrates with email campaign services allowing you to get your pages out to your subscriber list. MotionMail App – MotionMail App allows you to add dynamic countdown timers to your sales emails. You can change the colors of the timer to match your brand as well. MotionMail, adds an element of urgency to your email promotions to get your audience to act fast. This tool will help you avoid sitting around and worrying about when sales will start coming in. Gusto If you’re hoping to make business income from your blog you have to run it like a business. Gusto helps you keep track of taxes, payroll and other business management items all in one place. Waveapps Small business owners have a lot to manage. With Waveapps you can track expenses, invoice clients and keep accurate billing records. Paypal A commonly used tool for all things online business related. With Paypal you can create invoices and send and receive payments. Slack- Communicate with team members instantly from your desktop or phone app. Organize conversations by subject and use the search feature to find information in past conversation. Hop on a quick video call with other team members for a face-to- face conversation. Trello- is a perfect place to keep ideas, projects, and lists. I recommend Trello for individual project management or for teams of two. Asana- When you are at the stage of business where you are working with a team, Asana helps a team keep track of all of the projects, graphics, and systems you need to get the project done. You can assign task within a project to the appropriate team member. Woocommerce- If you’re going to sell products available for purchase online you need a safe, secure platform to do so. Woocommerce lets you sell your products by offering themes, plug-ins and support to get your online shop up and running. Gumroad- Gumroad is for independent writers, designers, software developers, musicians, artists, teachers, filmmakers, and anyone in-between. Whether you sell digital goods or physical goods, you can use Gumroad. Simply put, if you make stuff for people to buy — Gumroad is for you. Gumroad is what I currently use to sell my program What the Tech? A Guide to Your Technical Blogging Frustrations and it also allows me to have affiliates. Sendowl A platform to enable you to easily sell and process payments for digital products. This is a good option for e-course products or digital downloads for purchase. Teachable- E-courses can be a profitable product for a blogger. Teachable offers different plans with various features depending on how complex you need your course to be. It takes you through the process, provides customizable themes and gives you the option to have an affiliate program. Paypal- A commonly used tool for all things online business related. With Paypal you can create invoices and send and receive payments. It is also awesome to integrate with Sendowl, Teachable and Gumroad so your customers can pay directly through Paypal. Amazon S3 A cloud-based solution for project management. AWS lets you backup all of your data and access it from any device. It has a variety of product packages and price ranges to choose from depending on the size of your business. Google Drive Backup tons of documents and photos for free in the cloud. Google Drive lets you share documents and projects and keep all your photos in one place. It’s all in the cloud so you can access whatever you’re doing on the go from any device. Updraft Plus Backup and restoration made easy. Complete backups; manual or scheduled backup to S3, Dropbox, Google Drive, Rackspace, FTP, SFTP, email + others. Backup Buddy BackupBuddy is the premiere all-in-one WordPress back-up plugin to do backups, restores, and migrations of WordPress sites. Tailwind With Tailwind you can discover content, schedule posts, monitor conversations, launch promotions, and analyze results. All in One Platform. Mainly used for Pinterest and Instagram. BoardBooster Pinterest is one of the most powerful tools in online marketing. With Boardbooster you can schedule our pins to repin and appear more often in people’s newsfeeds. More pins equals more traffic and more traffic means more business. Buffer Managing social media accounts can be a full-time job itself. Scheduling posts with Buffer allows you to get your content out across all the favorite platforms more quickly so you can get back to blogging. SmarterQue is an affordable social media scheduling tool. Schedule posts to Facebook groups and pages as well as Twitter and all the other major social media networks. I love the content recycling feature. Fill up your Que and forget about it. BookBoss Having e-books available for sale can generate huge profits. BookBoss takes you through the steps of writing an e-book, formatting and launching your product. iBooks Author Available free on the Mac App Store, iBooks Author is an amazing app that allows anyone to create beautiful iBooks Textbooks — and just about any other kind of book — for iPad and Mac. I used iBooks Author to easily create the ebook portion of What the Tech? Convertkit a really good email marketing platform is essential for launching and selling your ebook or course. It is so important to be able to segment or separate buyers from your other audience in order to communicate. It’s also important to be able to send automatic “thank you” emails and more. Convertkit is the best tool I have found for the email piece of my online sells. Instapage Create beautiful mobile friendly landing and sales pages for your products, webinars, email campaigns and more. Gumroad Gumroad is for independent writers, designers, software developers, musicians, artists, teachers, filmmakers, and anyone in-between. Whether you sell digital goods or physical goods, you can use Gumroad. Simply put, if you make stuff for people to buy — Gumroad is for you. Gumroad is what I currently use to sell my program What the Tech? A Guide to Your Technical Blogging Frustrations and it also allows me to have affiliates. Crowdcast Host webinars and live online events with Crowdcast. Also, create questions or polls for your attendees. The chat feature allows for awesome communication as well. Blue Yeti Microphone Having really high-quality audio for webinars is really important. The Blue Yeti Microphone has improved my recordings and webinar audio quality a ton! Instapage If you already use Instapage you can take advantage of another feature embedding live hangouts for webinars. Chatango: If you are using Instapage to host a webinar you will need a box to chat with your attendees. Chatango allows you to embed a user-friendly chat feature on your page. Thanks, Leslie! What an awesome list! So helpful to me as a new blogger. You are so welcome, Trish! Wonderful list of resources here Lesley. Many of them are totally new to me.